The FD 1506 Plus AutoSeal® offers a user-friendly mid-volume solution for processing one-piece pressure-sensitive mailers. Its color touchscreen control panel uses internationally-recognized symbols in place of text, and a speed of up to 6,250 forms per hour which enables operators to complete daily jobs with ease. Plus, the integrated output conveyor keeps processed forms in a neat, sequential order, ready for the mail. Newly redesigned fold plates are clearly marked and easier to adjust, making the FD 1506 a breeze to setup, right out of the box. 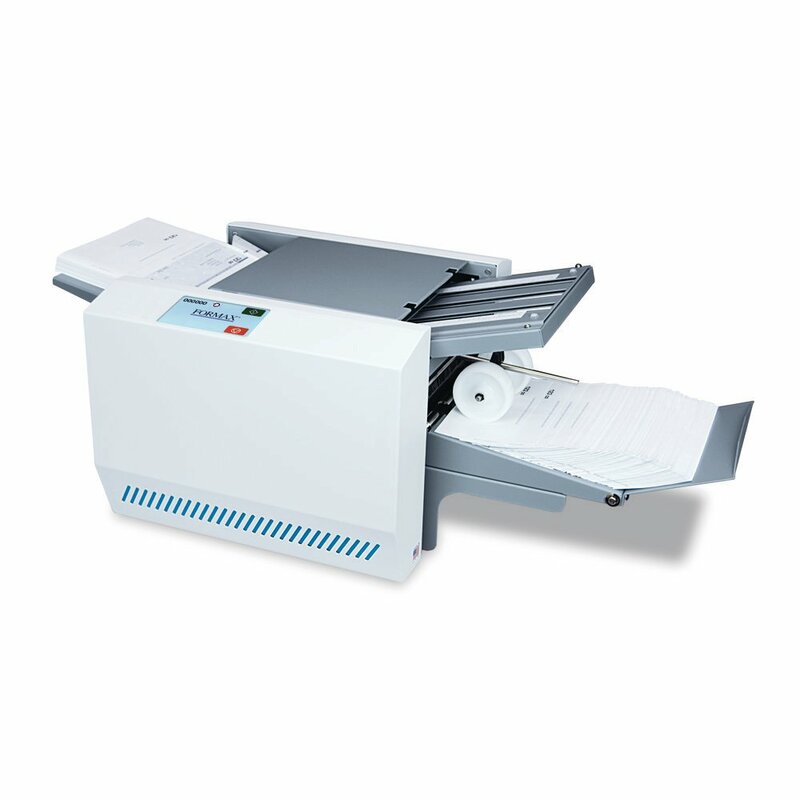 With the capacity to process 14” forms, it has the versatility to fold and seal virtually any mid-volume application to meet your needs. Fold plates are marked for four standard folds - Z, C, Uneven Z and Half folds - and can be easily reset for custom folds including Eccentric Z and C-fold mailers. The compact desktop design and ease of set-up and operation make this unit ideal for small offices or individual departments. Built in the USA with proven Formax technology, the FD 1506 Plus is an economical solution with the quality and reliability you have come to expect from Formax.